For anyone that will listen, I have a lot to say about Canadian, or more specifically, Ontario wines, and it’s fitting, considering that I am from Ontario. My time exploring the wines our province has to offer, has shown me that we have both impressive reds and impressive whites, right here in our own backyard. 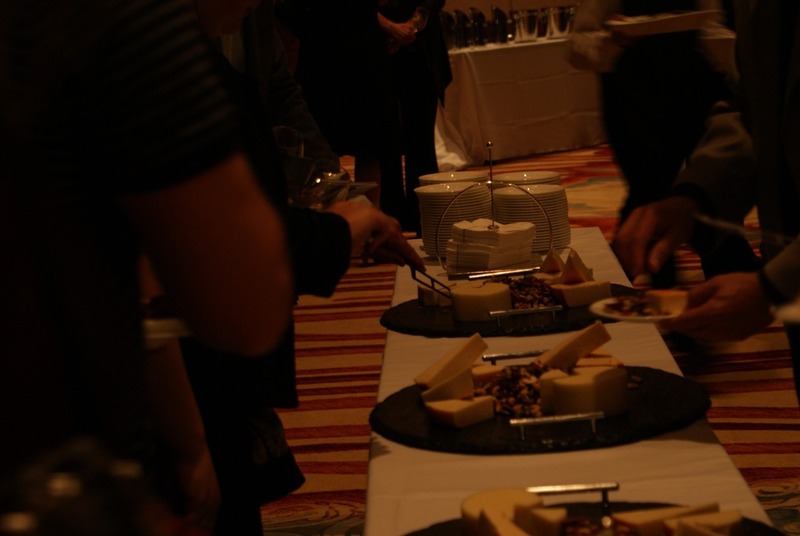 The LCBO Taste Ontario event, held Friday September 28th, only served to prove and ferment my thoughts. 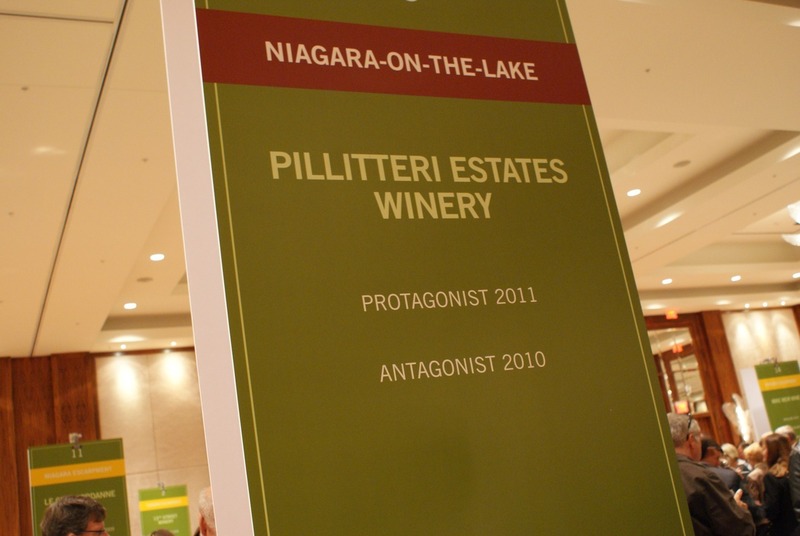 The LCBO Vintages, Taste Ontario event was a spectacular showing of the calibre of wineries that exist in Ontario. There was great representation not just from the expected Niagara region, but also from Prince Edward County, through to Lake Erie. Getting the opportunity to chat with the wine makers on site, helped to personalize the wines that grace our tables and furnish our conversations. For example, my chat with the group from Angels Gate Winery, schooled me on the history of the grounds; something I never would have thought to ask or come to know, were it not for this event. 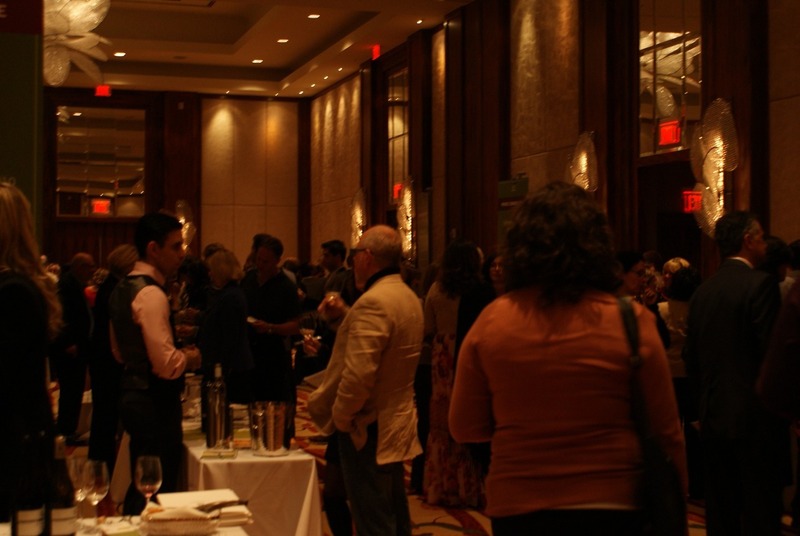 Now, while I did not have time or the human capacity, to try all of the wines present (there were over 100 different wines, from 33 Ontario wineries), I did make it a point to try some notables that are worth mentioning here. 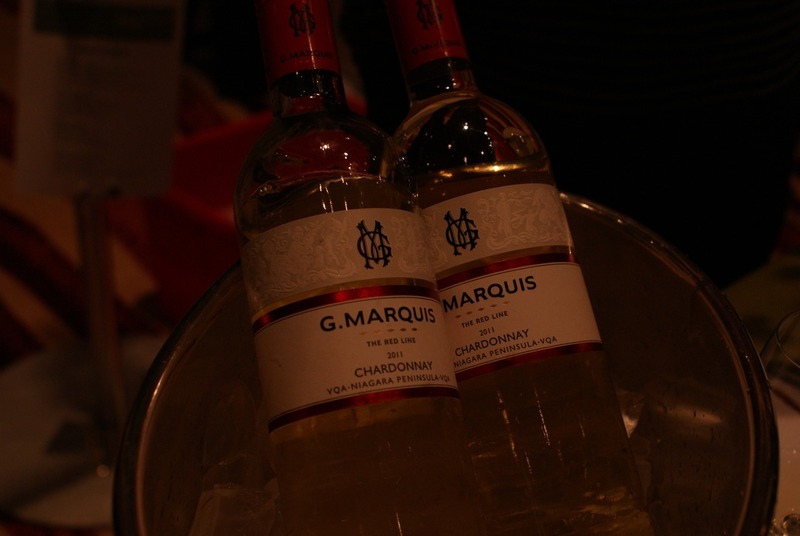 G. Marquis Vinyards: located at Niagara on the Lake. We were thoroughly impressed by their Chardonnay. A fantastic crisp white, that held its own and could be drank all year round, due to its mature taste. This wine will be available, in the LCBO in the vintages section, on November 10th, for $16.95. Château Des Charmes: you’ve heard us talk about this winery quite a bit, here on the Wine Hobbyist site, as it’s one of our favourites. Given our history and knowledge of Château, we were not surprised that one of notables, for the evening, came from them. 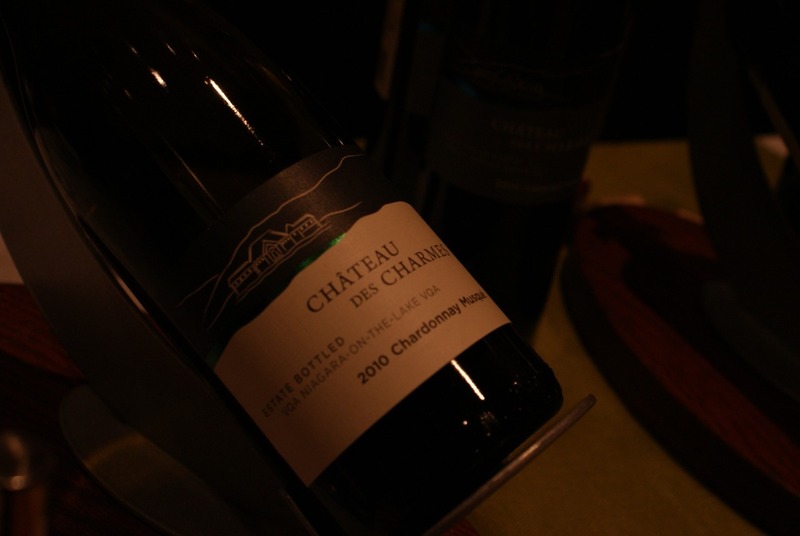 The Château Des Charmes, 2010 Chardonnay Musqué, was almost as good as their Aligoté that we keep raving about. 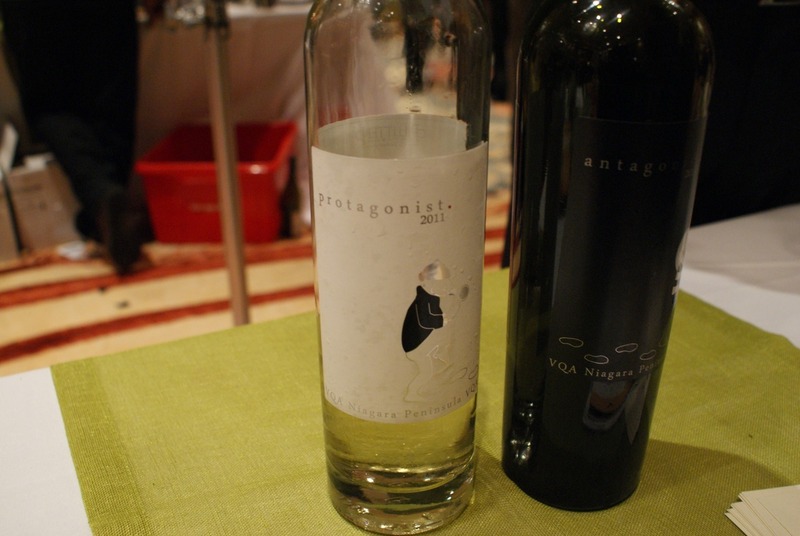 It was a smooth, well rounded white, with brilliantly tempered acidity and fruit flavours. This wine retails at the LCBO for $16.95. Pillitteri Wines: hands down, it was clear that this winery would make it to the blog, for just the wine names alone (the white is called the Protagonist and the red the Antagonist), but don’t worry, we didn’t just stop at the branding strategy, we actually indulged in what Pillitteri had to offer and found that their Protagonist, was more than worthy of a mention here. This white wine is a blend of the Guwerstraminer and Riesling varietals, made up of a spectacularly blended sugar to wine acidity ratio. It’s too bad this wine was not a part of my household collection during BBQ season. I can see this Pillitteri wine serving the palates of many. This wine retails at the LCBO for $15.95. 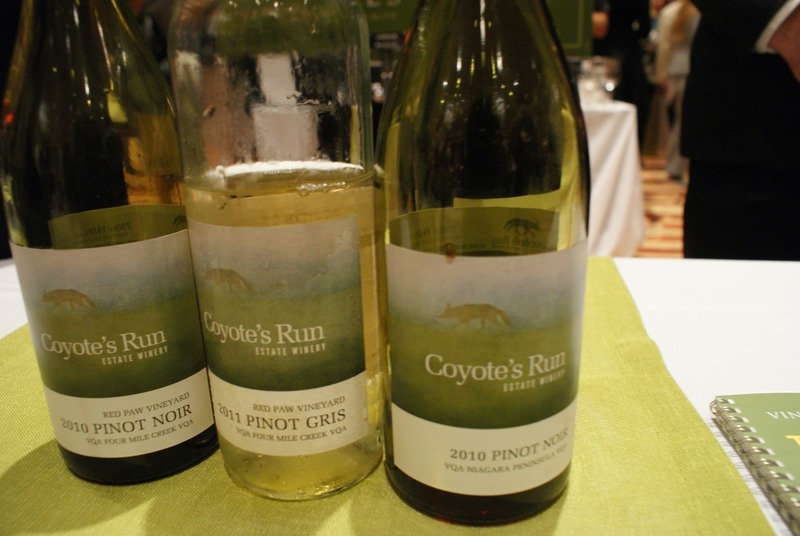 Coyote’s Run: if you’ve noticed a white wine theme, among the wines we’ve listed here, then you’re right. 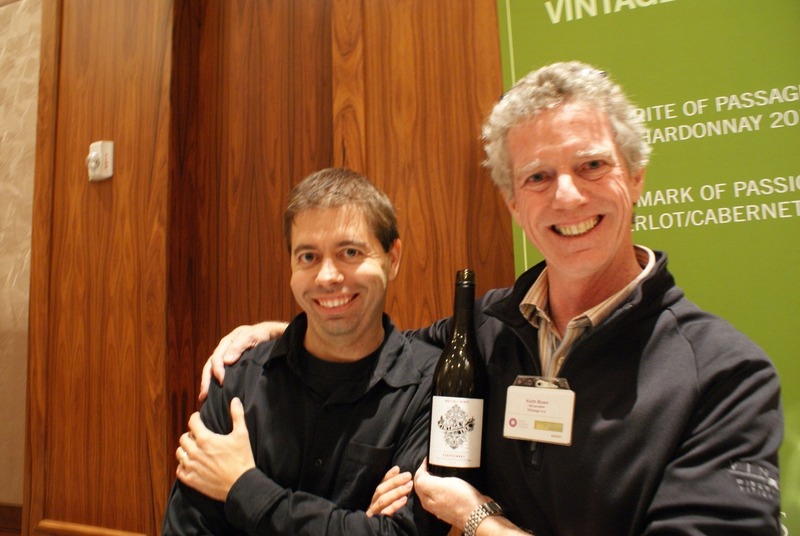 Though my personal love is a good red wine, I found myself seeing deep beauty in the whites offered, at the Taste Ontario event, It wasn’t until I came across the Coyote Run’s, Red Paw Pinot Noir, 2010 that things started to change. This was a true, smooth red that could be paired with any fall or winter evening. This wine retails at the LCBO for $24.95. The group from Coyote’s Run also made it known that they will be in representation at the Pinot Affair, scheduled for October 13th and 14th. 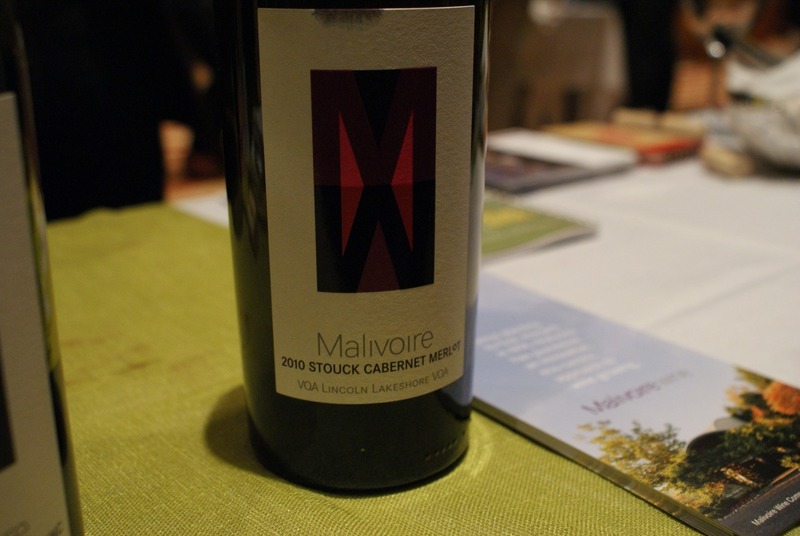 Malivoire Wine Company: located on the Niagara Escarpment, this little winery impressed the masses with its Stouck Cabernet Merlot. A fantastic wine that packs a somewhat long finish, with a comforting feel. This wine retails at the LCBO for $29.95. 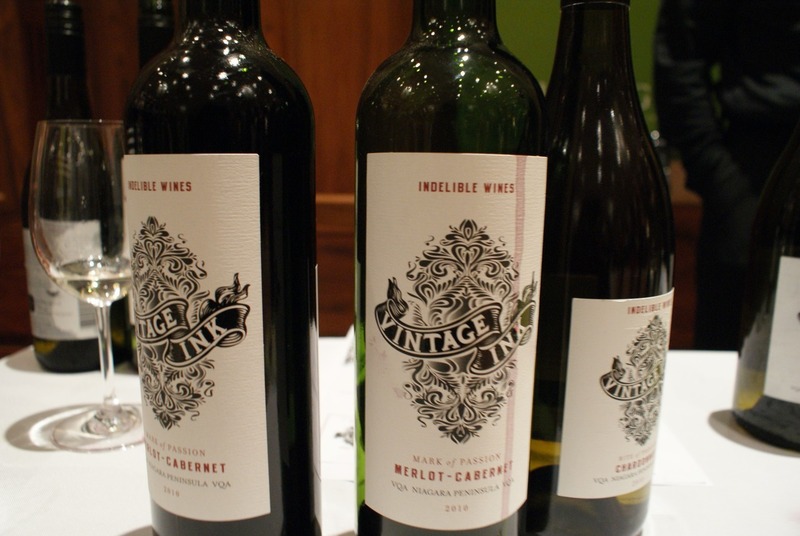 Vintage Ink Wines: ever gone to buy wine, but either due to time or planned budget, you can’t get all that you want? Well this was my experience with Vintage Ink Wines. They’ve only recently started to get their wines distributed in the LCBO, but the were clear to spot, given its edgy name and design. They make it to the list not only for their edgy branding strategy, but also because the Rite of Passage Chardonnay is to die for. This wine retails at the LCBO for $16.95.